Three enchanting authors bring us a new romance anthology. 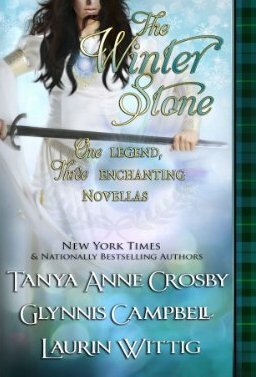 In My Laird, My Love by Tanya Anne Crosby, a long-lost guardian reaches across time to restore the faith and win the heart of a powerful chieftain. In Circle of Hearts by Laurin Wittig, a lovely fey maiden doubts the power of her gifts until the love of a fierce Highlander renews her sense of self-worth. In The Reclaiming by Glynnis Campbell, a broken Scots warrior is healed by a lass who wields the most magical power of all—love.